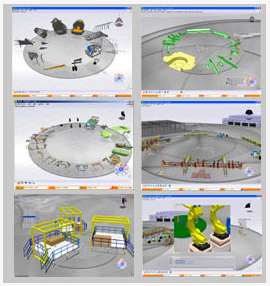 3DLive delivers a breakthrough lightweight 3D paradigm for on-line collaborative intelligence, leveraging enterprise 3D and PLM information. It provides a single immersive user interface where everyone across your enterprise can search, navigate, work and collaborate on any aspect of your PLM intellectual property (IP) to optimize decision making and accelerate business execution. It fully leverages existing DS applications and data, and is downloadable online.